Fish are cold-blooded animals and as such are more sensitive to the vagaries of water temperature than the warm-blooded critters that pursue them. Ice-off angling scenarios, in the few provincial lakes and rivers where it still legal, can be both a productive and frustrating time. Productive in that it’s good to get out and can produce some exciting action for species like post-spawn pike before they inevitably head for the thermocline when the water heats up. Also frustrating because other species are still operating at a semi-dormant pace and a day on the river can produce nothing more than a pleasant walk in the woods. But your angling success can increase if you observe a few key factors. 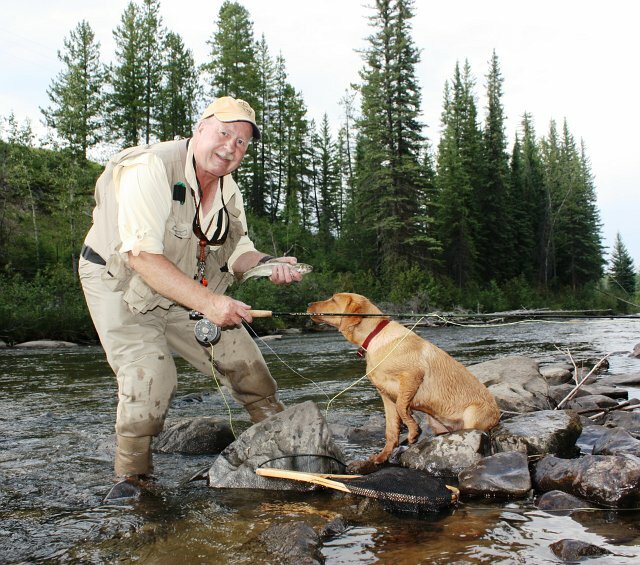 Stay low – angling in the high country is best reserved for July and August. Lower altitude streams and lakes generally wake up a month or more then waters in the foothills or mountains. Be aware of the bugs. 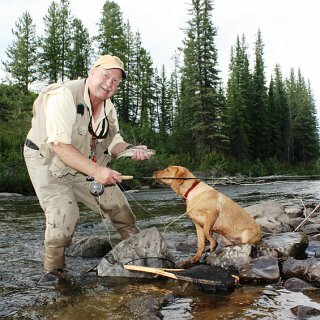 Several famous Alberta rivers and stillwaters have earned their reputations because of early season insect activity which triggers a response from trout. Use a variety of angling techniques including dead drifting nymphs, swinging streamers as well as dry flies. Become familiar with stream flows. Rivers and creeks with Eastern Slopes sources can remain high and dirty for most of the spring. While others like spring creeks and tailwaters below dams can be running low and clear. Be ready when the time is right. Spring weather in Alberta can swing from a late blizzard to summer-like sunshine in a few days if not hours. Fish are sensitive to temperature changes. If your lifestyle allows be ready to strike when the iron – and the trout – are hot. Then relax. There’s never been an angler that hasn’t been skunked. Some days you will be a hero. Others a zero. Fishing isn’t only about the fish.